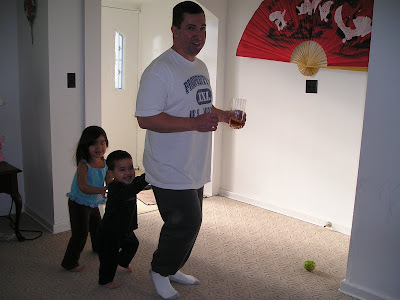 John and the kids were having fun this morning playing the train game. My husband was saying "chugga chugga choo choo" and the kids were cracking out loud hahaha. Its so good when my husband is off because our kids love playing with him. One of the games that we all play and the kids love is the Ring Around the Rosey... I am not sure of the title of the song hahaha.. 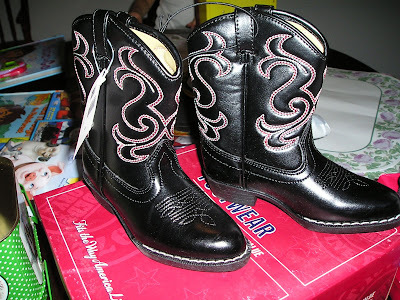 When I saw these boots that my sister in law sent to our kids, I remember the song "These Boots Were Made for Walking" originally sung by Travis William in 1987 and was remake by Jessica Simpson, please watch the video below courtesy of spike.com. Thanks Chris and Gail, the kids love it! 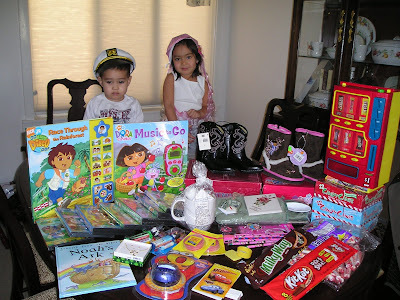 We received a big box of goodies from my sister in law and the kids were so happy, they were screaming and yelling "Yey more Christmas presents!" Thank you so much Chris and Gail for all of these. EJ love his toy cars and the boots. Rylie is crazy about the DVDs you sent. 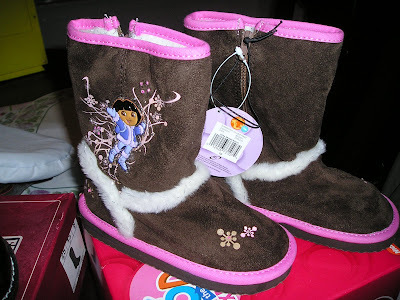 She was Shouting for joy when she saw the Dora boots lol.. Here they are wearing the dress up hat hehehe.